IT’S ALL ABOUT YOU – We Embrace the Internet Auto Buying Revolution! Don’t Let Car Dealers STRESS YOU OUT! Well it was a few years ago Owner, Jay Mealey began to research the feasibility of eliminating the $699 Dealer Fee on the Sale of NEW MAZDAS. Why New only? Simple really…. while the sourcing, transportation and preparation cost where the sale of USED Car Sales has increased, the New Automobile Manufacturer has begun to pay the dealer more & more “below the line” – meaning, we no longer really generate the “profit” when we sell a New Vehicle rather, we are paid directly from the Manufacturer to offset expenses like transportation & vehicle preparation. So, in essence, Mazda is helping us offset expenses we previously referenced in our “Dealer Fee”. Of course this is not the case with Used Vehicles & 100% of this expense falls on the Dealership leaving us little choice but to continue charging our Dealer Fee pertaining to Used Vehicle Sales. Don Mealey’s Sport Mazda in Orlando, FL, also serving Kissimmee, FL and Clermont, FL is proud to be an automotive leader in our community. Since opening our doors, Don Mealey’s Sport Mazda has maintained our solid commitment to our customers, offering a wide selection of cars and trucks with an ease of purchase unlike any Orlando Mazda dealer. 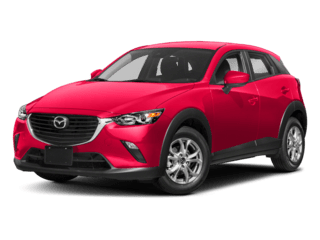 Sport Mazda provides new MAZDA certified sales, financing, service, and parts and accessories for Orlando, Kissimmee, Clermont, Apopka, Winter Garden and the rest of Central Florida. As a member of the Don Mealey family of fine automotive dealership, Sport Mazda strives to continue the tradition of excellent customer service gained through almost 50 years of caring for our Central Florida community. We are proud to have been named as a 2011, 2013 and 2014 Gold Cup award winning Certified Mazda Dealer, recognizing dealers for achieving and maintaining the highest standard of customer service. Our founder, Don Mealey, set a standard many years ago for customer service in Florida and the Mealey Family continues to operate all of its Central Florida auto dealerships with the same high standards today. Come see the difference at our family-friendly dealership, Don Mealey’s Sport Mazda. 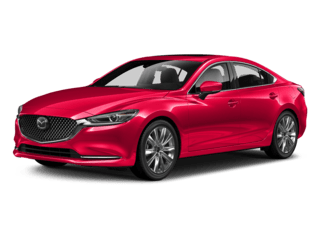 Whether you are in the market to purchase a new Mazda or a pre-owned vehicle, professional service for an existing vehicles, or certified Mazda parts and accessories, Don Mealey’s Sport Mazda is right here at 9786 S. Orange Blossom Trail ready to serve you. We are conveniently located to all major highways and easy to reach from anywhere in Central Florida and the Space Coast. Don Mealey’s Sport Mazda is convenient to Osceola, Lake, Seminole, Brevard and Polk Counties.